Here you can find a real tool to cook a decent dish . 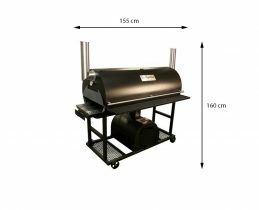 Q series BBQ Smokers Keywords are known for the capacity and functionality. 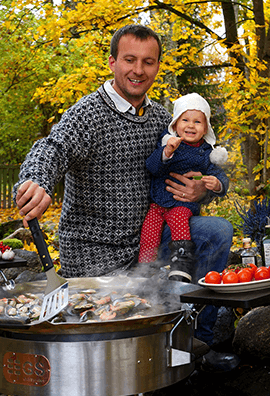 Even our smallest BBQ Smokers are so big to cook plenty of ribs as an example. Biggest model capacity is 70 kg of meat at a time. Thick walls and two chimney system give stability and as result of this, the meat is juicy and enjoyable. 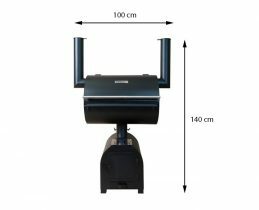 In addition, Q series BBQ Smokers work by firewood or charcoal. 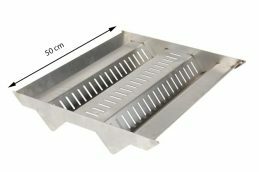 If you like, enjoy slow cooked BBQ dish or use it as Charcoal Grill. Your choice.